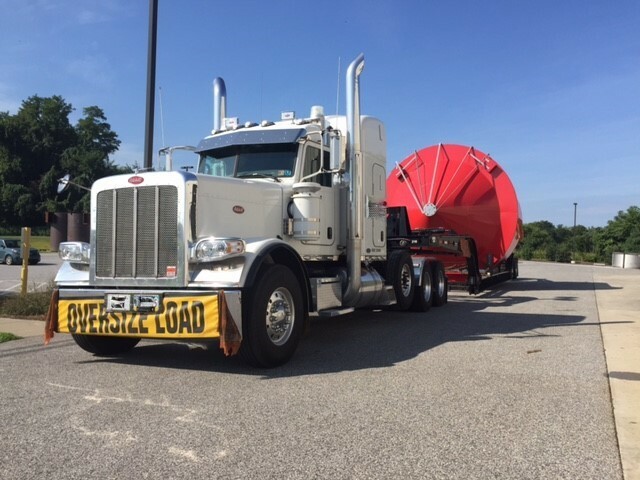 Super loads are never a problem when the Kenneth Clark Company is part of the process! Our most recent project of the month involved moving 4 tanks that were each 26′ long and 15′ 6″ in diameter. This required the use of specialized perimeter trailers to get the height below 16′ 2″. The height and the width of the tanks required specialized routing, pre-route surveys, and pole cars. Bucket trucks were also required to move power and communication lines during transit. The project was extremely difficult and took 2 days to move each tank the 200 miles from the pickup to the final destination! Another successful projected for our project logistics group.